Our program is located in the heart of cutting country and utilizes all of the amenities you would expect from a world class training facility. 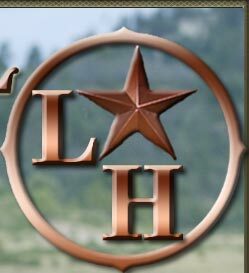 The program offers full service, extensive training sessions, unique personal attention, live cattle, and unrivaled hospitality where your comfort and personal training comes first. All programs are tailored to the non pro and amateur cutter's individual needs, ability and goals. Adjacent to the barn are 50amp hookups, we also have water and a dumpsite for those with LQ trailers. Beautiful and comfortable guest rooms are available in the main ranch house. Hospitality includes meals at local restaurants, including breakfast daily at the famous Howell's Cafe. I just wanted to drop you both a note to thank you for your fabulous hospitality and teaching! We thoroughly enjoyed our visit and lessons in your wonderful facility. It's a breath of fresh air to enjoy learning from a true professional and with such personality! We both laughed and learned a lot. 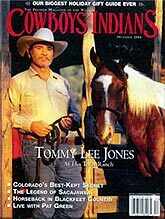 It was great to have the privilege of learning from a true horseman. 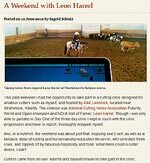 There are so few true professional horsemen in this industry, and and we cannot thank you enough for inviting us to enjoy your facility and guidance. Got back to Georgia just in time to get a pretty decent snowfall. Weather has been pretty bad these last few days. It has been frustrating as I have wanted to get out there and try out some of my new skills. But, as Leon would say “patience we have all day”. I wanted to let you know how much I enjoyed my stay and the Horses were only second to the hospitality. I came away with so much in such a short time and never imagined that I would learn so much so fast. I truly cannot wait until my next visit! I just wanted to let you know that we made it home okay. I can't tell you how much I enjoyed the time I spent with you and Leon. You have an amazing operation and Leon is a wonderful teacher. I know we won't be an overnight success but I have a much better understanding of what I need to do and when to do it. I feel much more confident in my riding. We have a show this weekend and I plan to try out my new skills. I hope to be able to come back again later. 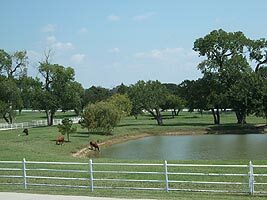 Michael and I want to thank you for the wonderful learning experience you both provided for us this past weekend at your beautiful ranch. Although I eagerly anticipated my clinic with you, I was cautious not to set my expectations too high. I was apprehensive about being new to the cutting industry and having a coach that may not be able to meet my learning needs as an individual. I could not be more satisfied with our experience. Leon was phenomenal in his ability to teach, balancing professionalism, humor, lightheartedness and a lifetime of knowledge. My husband is relatively new to horses in general, but at the end of his first day, he was riding your amazing horses like he had been doing this his whole life! 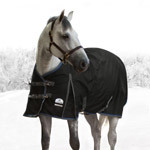 We were also thrilled to see your horses attitude toward people and their job. It was inspiring to see horses that met you at their stall doors, nickered to you, and didn't pin their ears when people approached. They were truly happy horses that have been taken care of physically and more importantly to me, emotionally. I haven't a second thought about sending my mare to you for training. Your hospitality was top notch, your home beautiful, and our accommodations were excellent. 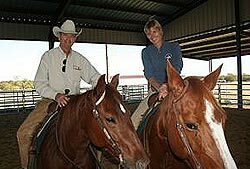 Our experiences at your ranch exceeded our expectations and provided us with a wealth of knowledge and understanding about all aspects of the sport of cutting. We hope to see you both soon! 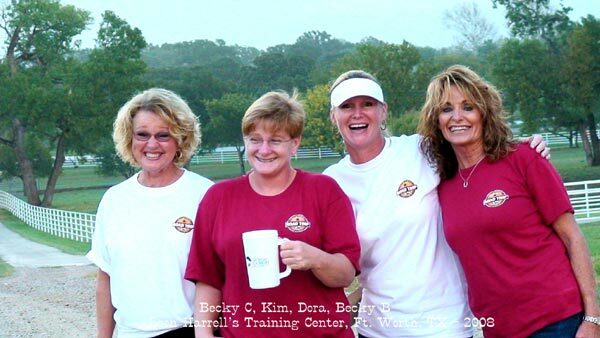 Becky C, Kim, Dora, Becky B. We made it back to AL safe and sound, just bubbling from our trip, and so excited about our very productive "personalized coaching sessions". All of us, appreciate the royal hospitality from you and Leon and your barn staff. The steak dinner at your home was such a very nice way to end our session and we do appreciate you and Leon taking the time to make us feel so special. 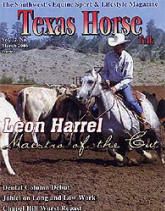 Cannot overlook your horses - a truly fine group of talented cutting horses to match and challenge any rider's ability. Gosh, what more can I say.....it was just perfect!!! We learned a lot, now the tough part - put it into practice each time we show, but WE CAN DO THIS AND WE WILL GET BETTER - Leon told us so! Enjoyed reading the article and feel lucky and honored to have spent a brief period of time with you both, and learned from the best there is. I will look forward to reading your future articles. Should I have success in the show arena I'll be sure to credit you. If I do poorly I'll just say I was much worse before coming to your clinic. Ha! Ha! Regardless, I hope our paths will cross again. Thanks for sharing your fine horses, home and hospitality. Thanks to Alvaro and Leslie. They took good care of us and I thought complimented your program well. All I had to do was get on and stay on! Thanks for the wonderful week spent at your new facility in Springtown, Texas. 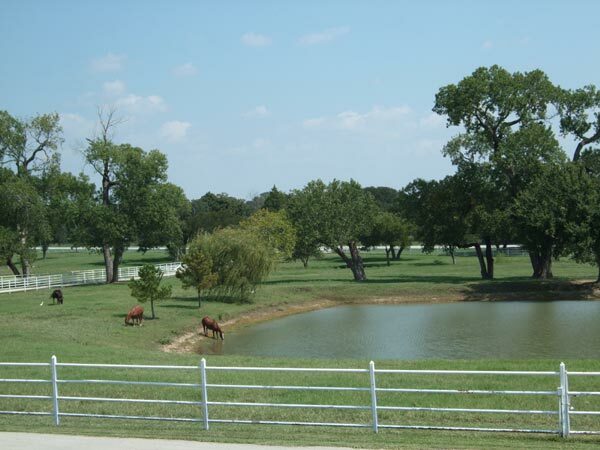 The quality of the grounds, building and pasture/paddock layout is exceeded only by your friendly and gracious hospitality in your new home. I even think that my horse is happier there. Really enjoyed staying in the guest wing of your home. It almost made me feel like family. I look forward to bringing Jacque and friends to your place for instruction in the future.